When the weather gets colder, there’s no better feeling than walking inside and being comforted by the warmth of your home. As you turn your heater on for the first time this season, you might notice problems with it that did not exist last winter. If your heater is blowing air that is cooler than you’d like, there are a few factors that could play into that. Read below to find out what could be causing your heater to not work properly and how to fix it. Are you having trouble getting your heater to even come on? If so, there’s an easy solution that might be the culprit. Be sure that your thermostat is set to a temperature that is higher than the temperature inside your home. If it isn’t, your heater will not come on and your home won’t get any warmer. Turn up the temperature a few notches, and that just might solve your problem. If your heater is on but blowing cool air, take a look at the fan setting on your thermostat. Usually you will have the option to set it to “off,” “on,” or “auto.” If it is on, your heater will blow continually without providing heat. The best way to avoid this is to keep your fan set on auto so that your fan will come on only when it needs to, and your system will begin heating your home again. Ductwork is hidden behind walls and ceilings so it can be difficult to tell if yours has a problem. But a heater that is blowing cool air could be a sign that something is wrong. Dirt and debris inside your ductwork can accumulate and obstruct the proper flow of air through your system. Although it is very rare that this could significantly affect the comfort of your home, it is worth looking into. The heated air in your house travels through air ducts, and if that air is coming out weak or cool, it is possible that you have a damaged duct somewhere in your home. Constantly sending different temperatures through your ductwork can lead to wear and tear on your system. Even the smallest cracks and openings can allow heated air to escape out of the vent resulting in a weak air flow. Not only that, but cool air can get into your ducts and mix with your heated air, leading to much cooler air coming out of the vents. A ductwork inspection is the best way to know if your ducts are damaged or blocked and causing your home to be cooler than you’d like. Call your HVAC service provider today to schedule an inspection and get an expert’s opinion on the best solution for your home. HVAC systems are not one size fits all. There is a heater that is right size for your home, and there are heaters that are too big or small. When it comes to heaters, the mentality that bigger is better is not the right choice. If your system is too big, it will heat your home too quickly and not allow the warm air to penetrate the insulation. This will cause your heater to kick on frequently throughout the day and significantly raise your energy bill. Cool air blowing from your heater could be the result of a heater that is too small for the size of your home. If the system is too small, it will not be able to provide warm air to your entire house, and will result in the air coming out of your vents to be cooler than desired. 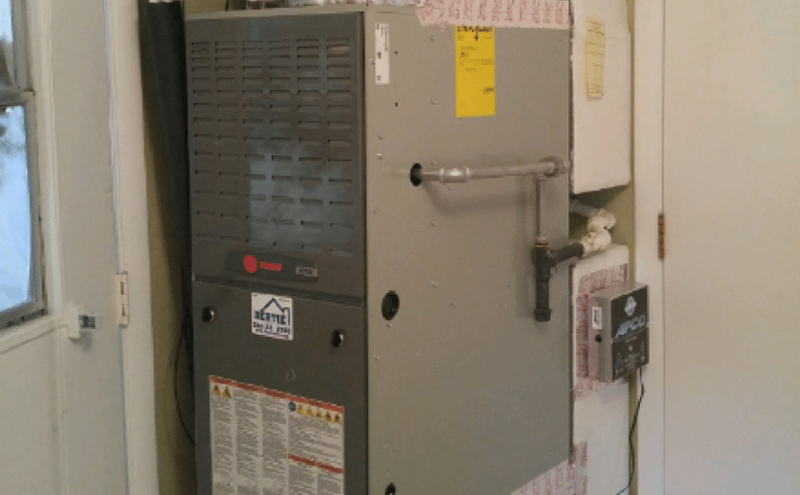 If you’re unsure whether the heater in your home is the proper size, or if you’re in the market to buy a new heater and would like to be sure you’re buying the correct unit size, schedule a visit with your HVAC service provider. At Bertie Heating & Air Conditioning, we inspect every home and give an accurate evaluation so you receive the right size furnace to properly heat your home. When the weather turns cooler, our team at Bertie Heating & Air Conditioning wants you and your family to be comfortable in your home. With over 25 years of experience in the heating and cooling industry, we have a team of experts who can inspect, evaluate, and provide solutions if your HVAC system is not functioning properly. If your home isn’t heating the way you’d like it to, give us a call today!